Registration for the 3rd Annual IKF Spring Classic is now Closed! Thanks for inviting your friends and family to the show! Tickets are on sale at the door and online! If you miss this one…See you in the Fall! Forward March! This is a limited Competitor Tournament (170 max) Most will not register until the first of the year…Some have already Registered early and gotten first seed in their division and saved $’s You can do the same…Get Registered Today! 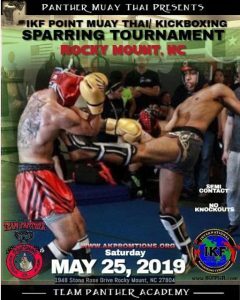 Thanks for getting your registration Forms and Payment in by the deadlines and thanks for your support of the 3rd Annual IKF Spring Eastern Muay Thai / Kickboxing Classic! REGISTER FROM FROM OF THIS SITE! Trainers, Fighters, Family etc. Please See this important Video on Fighter Safety! Everyone who is competing in this or any fighting event should see this interview with Fight Doctor – Dr. Jon Lucas– Hydration, Weight Cutting and so much more! Safety First! Forward March! This will be another exciting event of Kickboxing ( Modified Muay Thai, Unified and International Rules) that will further grow our sport! Although we keep our tournament limited to so many fighters (approx. 170), you can bet it will be a two day event filled with action and increased prestige! 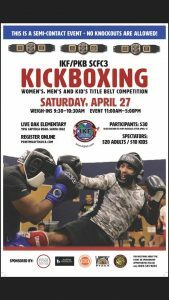 Men, Women of all age groups and Juniors 7 years and up can compete in this championship event where nice belts will be given in Open Division and great awards for the Novice Divisions! International fighters are also invited to attend our events whether is our Spring or Fall East Coast Classic Tournament! There will only be 4 fighters per bracket! You will be able to register and open any division in the first 30 days of registration! ( Age, weight, noted rule style) After the first 30 days, you can only enter a division that is available! So, when registration starts, be ready to enter as brackets will fill up fast! 5. You will receive an email confirmation for your Electronic Form Registration and a Pay Pal Confirmation for your Fee Payment via email. 6. Exam Option – You can get your Exam at the Tournament from one of our Doctors. The Fee is $45 Plus, $5 Credit Card Fee – The Exam will last for one year for AKP/ IKF Events in the Southeastern Region. LATE WEIGH IN REQUEST FOR JUNIORS / MILITARY/ STUDENTS etc. We reserve the rights to match bouts throughout the event for the best fights and the utmost safety of the fighters. Once we have confirmed attendance of all fighters, if there are any issues with divisions that we feel may be a safety issue, we will review the matter with trainers, parents etc. if applicable and make necessary adjustments to assure bouts will be as safe as possible. We also reserve the rights to create special divisions, catch weights etc. in order to match a fight within reason. can request to move into a bracket with less than four fighters. Belts are weighted and embossed! Cups are weighted and engraved! A fighter with no more than 3 fights will be considered a Novice. However, a fighter with less than 3 fights or less can still register in the Open Division. A fighter with 4 or more fights will be considered an Open Division Fighter. A fighter with 4 fights or more cannot fight in the Novice division. Any dishonest reporting of fight records will cause immediate suspension by the IKF. 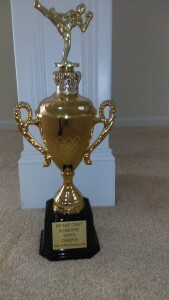 All Competitors will receive a Participation Award! There are no refunds for this event… please only register in a division listed… if you do not see a division you fit in… please do not register. You will not be refunded. Thanks in advance. Note: Your Fee is Transferable to the next AKP / IKF event if you do not have a reasonable offer for an opponent etc… Transfer does not apply for personally reasons for dropping. You can also use your registration fee as spectator or camera passes for this event. Thanks in advance for your understanding. We will provide the Gloves! 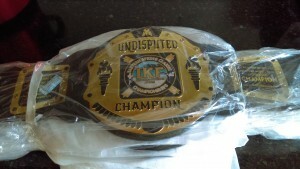 IKF United States Title Eliminations and Defenses Friday and Saturday! See the Day you will Fight on top of the Division! If your division is NOT marked for Friday Night or Saturday Night…You Will Be Fighting on Saturday from 9:AM-5:PM – Please Invite your fans accordingly! Notice: We are expecting an influx of registrations after Christmas and before the first deadline of January 7th to determine divisions and Seeding. Do not hesitate to register in this limited overall fighter tournament (170 max) with only 4 fighters max. each bracket! SPECTATOR TICKETS, CAMERA, MEDIA PASSES AND MORE! Camera Passes are closely monitored by our security. Thanks in advance for your cooperation as this fee helps us continue to promote this event for our athletes. The Camera Pass is $30. Please do not register your fighters in the same division. Trainers Passes – After March 12th, You will pay $45 at Door + a $20 Photo / Badge Creation Fee at the event. Please do not send in photos after Weds as they will not be accepted and you will need to purchase at the event. We recognize that things come up and change unexpectedly. 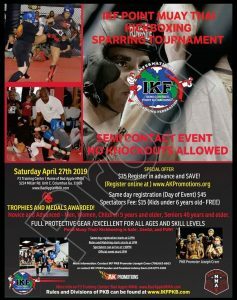 We ask that if there is any reason that you will not be attending the IKF East Coast Classic Tournament and you are registered to fight, please let us know ASAP. As the Promoter of the event, we want to give everyone a heads up as to what is going on in their division and will note the division with such information. Consider giving proper notice as a form of respect to the promotion and your opponents who are coming to compete. Please know that we can only put the event together and are not responsible for fighters showing up to event. Thanks again for any advance notice. Please know that we accept everyone’s right to bear arms. However, this is a private event open to the public and we are asking unless you are a Police Officer or Security that you keep your firearms CONCEALED. This is a request. If you have any questions, feel free to give us a call directly. 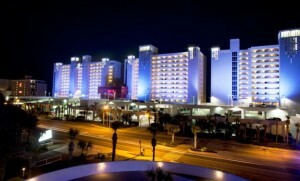 (843)773-1005. Some equipment will be on sale at the event! We will be providing the boxing gloves and headgear for the event. However, you can also use your approved headgear. Additionally, you are responsible for your Mouth Piece, Cloth and, or approved leather shinguards…no medal buckles, Groin Protection and Hand Wraps.